Leslie Moore founded Traction 10 years ago, taking people in difficult situations into her home and living with them like family. Today, many of them are independent and thriving. Text by Sarah Toy. 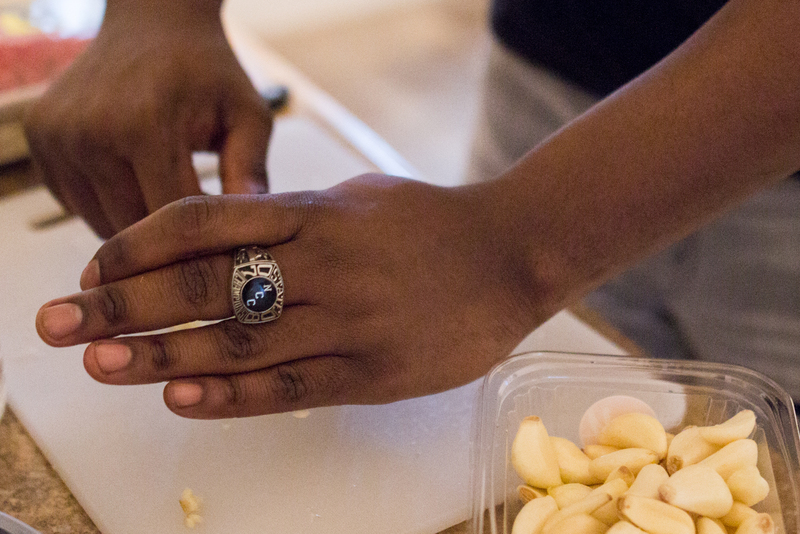 On Saturday evenings, the residents of Nightingale House in Dorchester try to make a point of eating together. 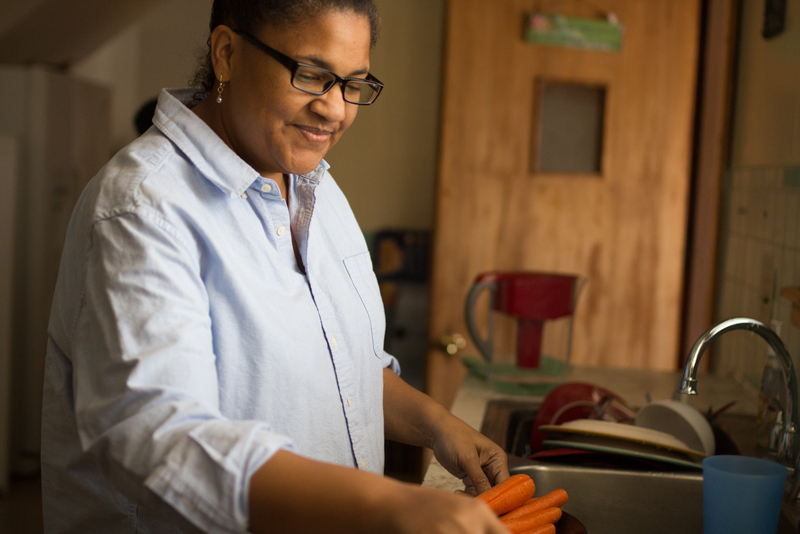 Audrey “Drew” Felix is the house’s self-declared resident chef. 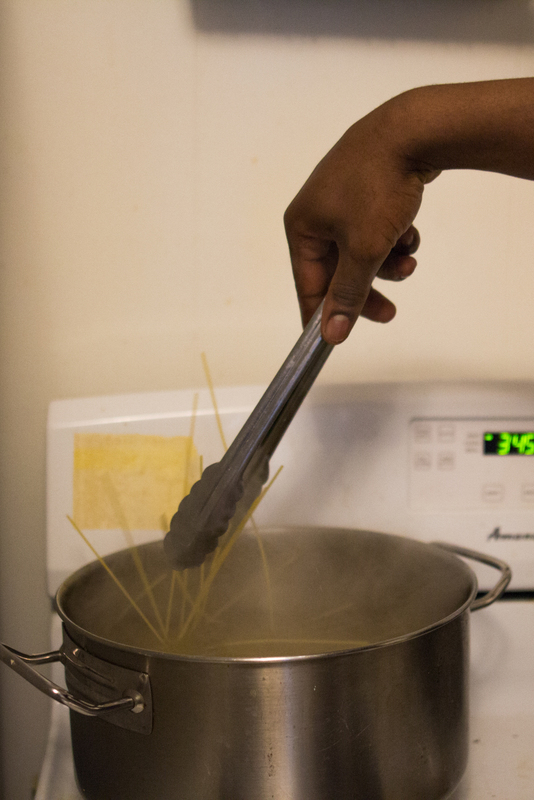 This week, he’s made spaghetti with meat sauce. 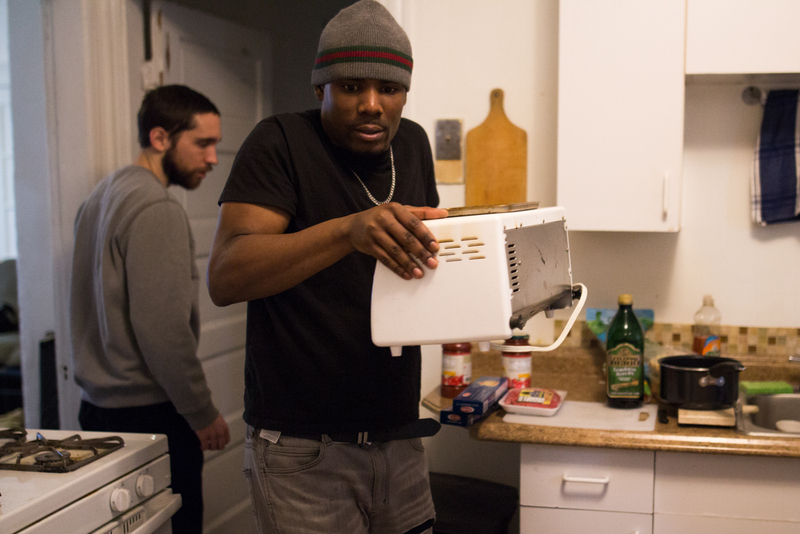 “Here comes the garlic bread,” he says gleefully, opening the oven door. A rich aroma wafts through the kitchen as he pulls out a pan of garlic-and-butter smeared sourdough, slightly browned on the top and crumbling-crisp along the edges. Earle Harmon pours cranberry juice into plastic cups. 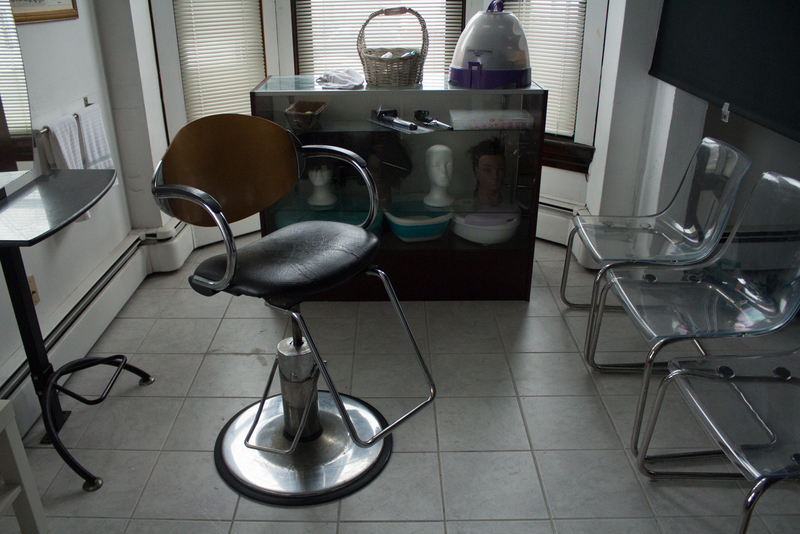 The other residents sit down at the kitchen table to eat, laughing and jostling each other. 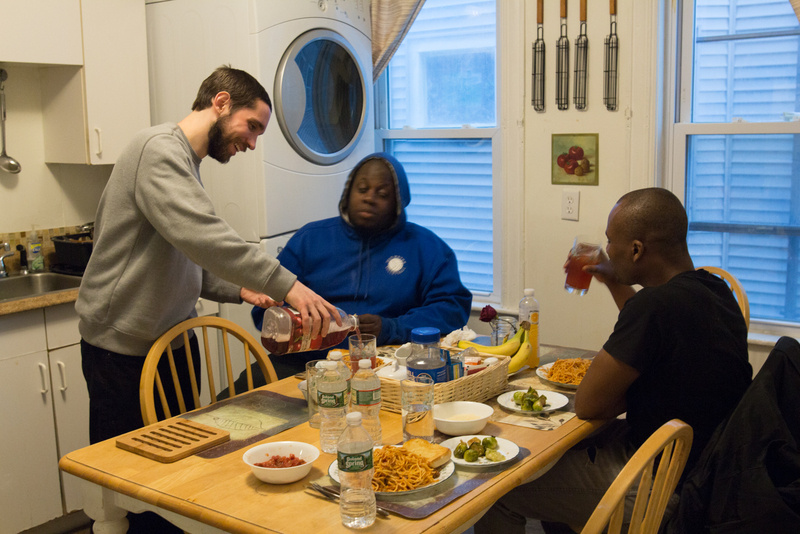 The scene looks like any other dinner one might have with friends, except for one thing: almost everyone in this home has struggled with homelessness. 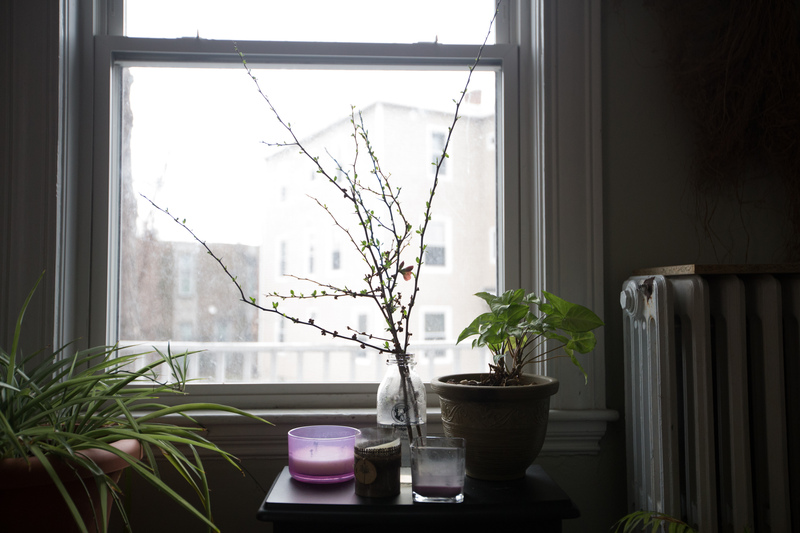 Nightingale is part of a network of homes throughout Boston and Rhode Island called Traction. 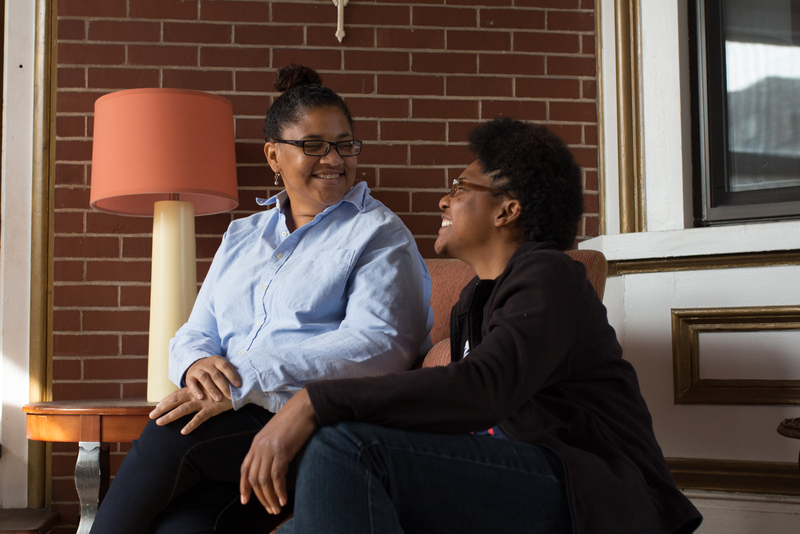 Started in 2008 by a Yale-educated woman named Leslie Moore, it is a program that offers support to people coming from various challenging circumstances. The Traction concept centers around living as a family unit. 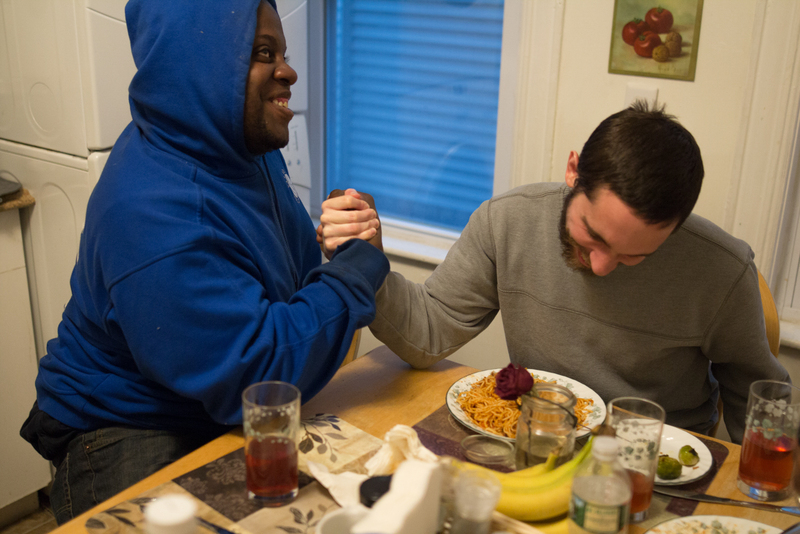 People who are accepted into the program live in a home with resident mentors and commit to working with them to transition into healthy independent living situations. 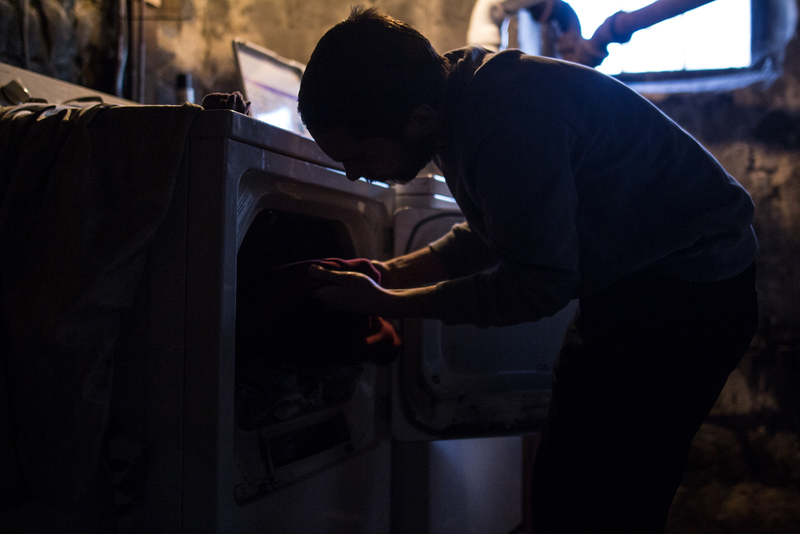 Participant-residents share chores and responsibilities with each other and engage with each other day-to-day. 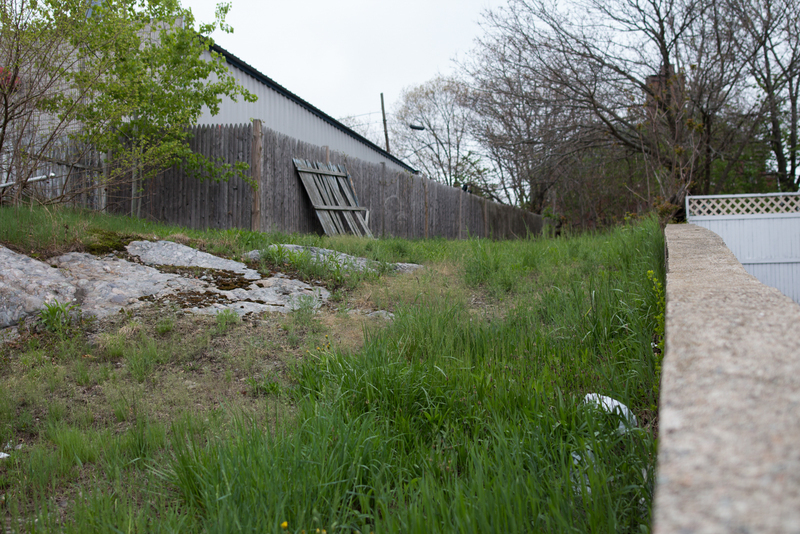 The idea for Traction came to Moore by accident, when she decided to buy a piece of property in Savin Hill in 2007. “I found this old carriage house that had two apartments,” she said. 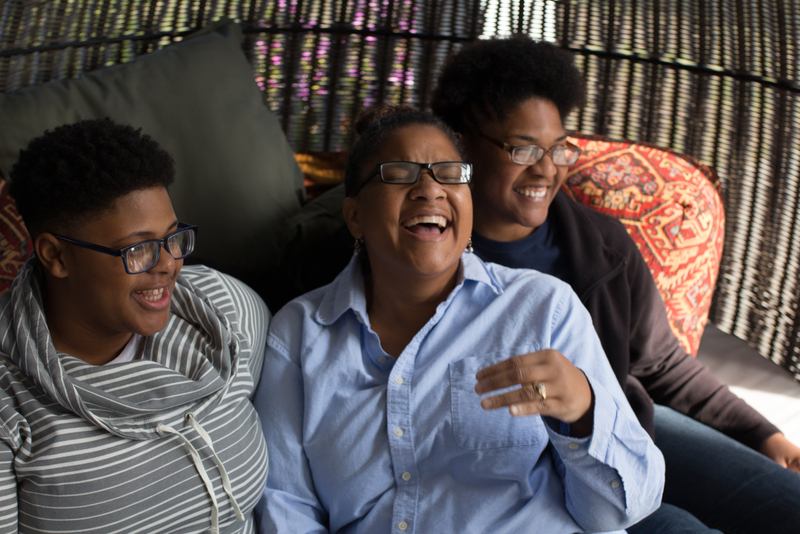 She was 30 years old and living there on her own at the time, so she decided to invite three other young people to live with her who were in what she described as “not-so-great” situations. Leslie Moore, the founder of Traction. Photo by Brynne Quinlan. “All of them were high school dropouts,” said Moore. 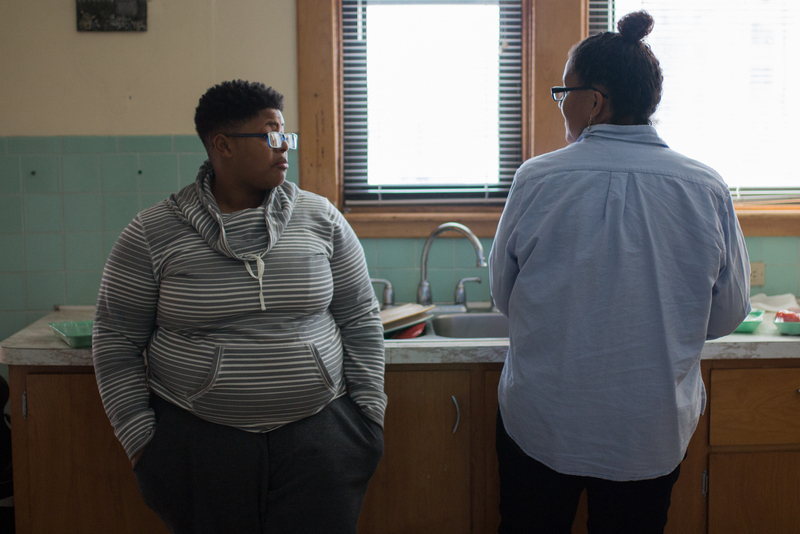 After living with her for a year, two returned to school and continued on to college. The third went on to get her GED. “I [had] been working with young adults for a while and those kind of results were unheard of,” said Moore. At the time, she was working at College Bound Dorchester, a non-profit organization that provides youth with academic, social and emotional support. Moore said seeing first-hand the difference a stable home could make in a person’s trajectory “planted the seed of an idea” in her mind. As housing prices continued to drop following the housing crisis of 2008, Moore purchased a second property in Boston. 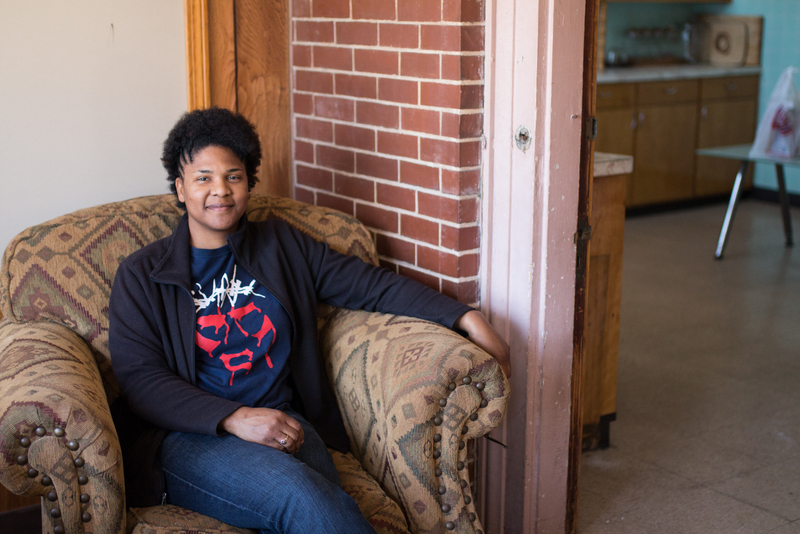 She sold her Savin Hill home and bought a three-story property in Dorchester: Nightingale, the first official Traction house. 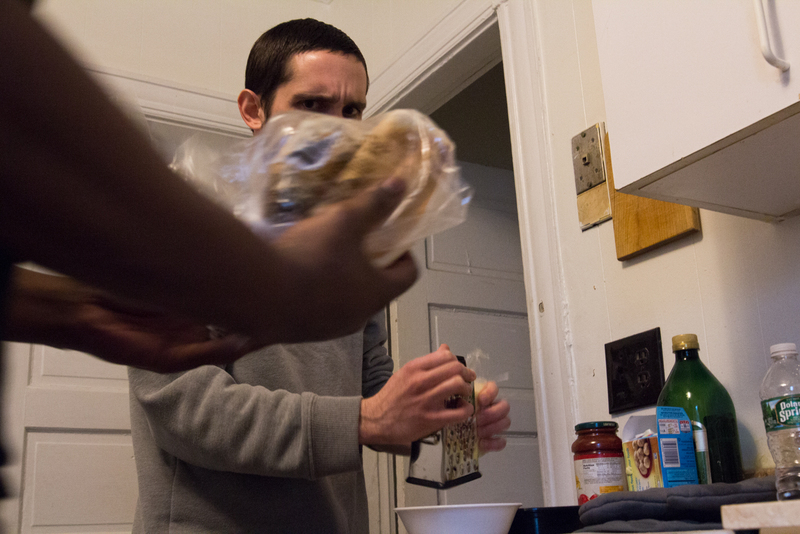 Brian B., a 38-year-old man from Virginia who asked that his last name be withheld, moved into Nightingale in February. 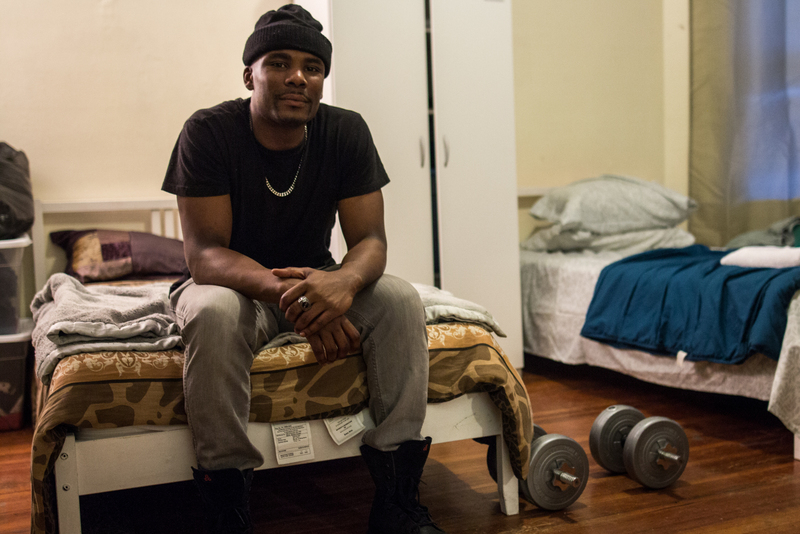 His struggle with homelessness began seven years ago when his employment situation went downhill. He was working at a call center in Southeast Virginia, but was let go when he didn’t meet the minimum quota for sales. 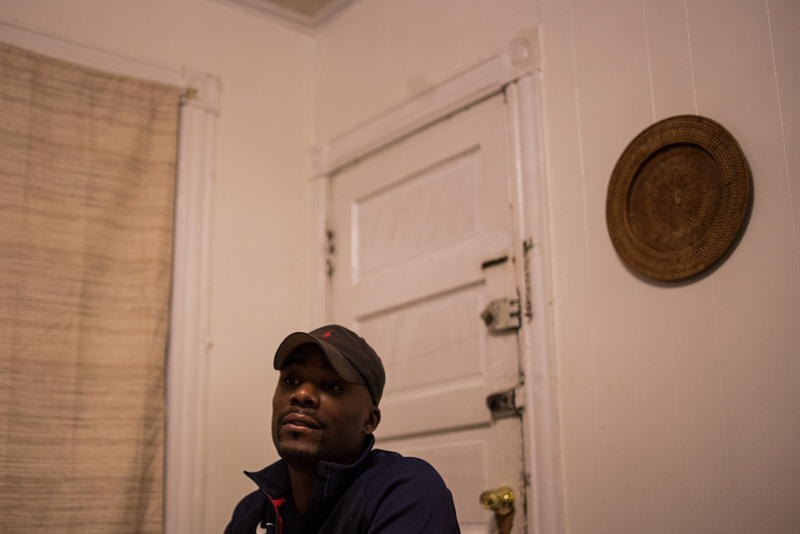 He tried his hand at roofing and landscaping, but those jobs could not support steady housing. Then his car broke down. After that, “I was ‘on foot,’ as they say,” Brian said. 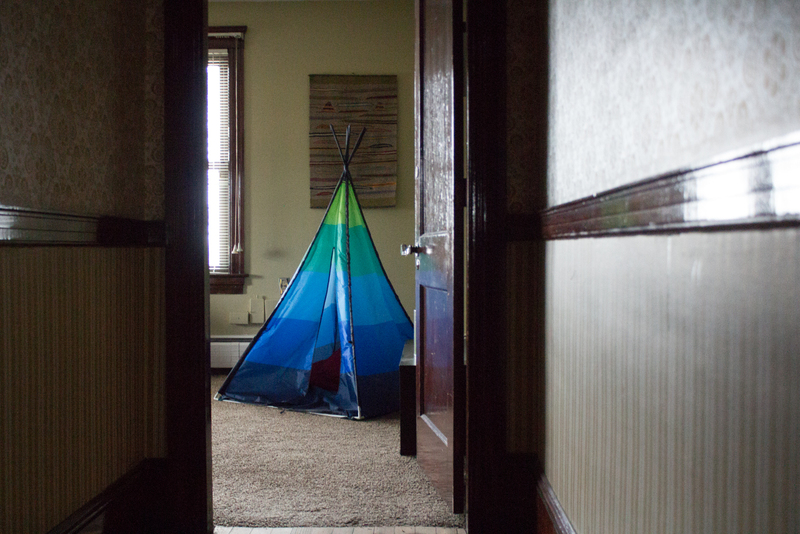 He stayed in a tent in the woods during warmer months. 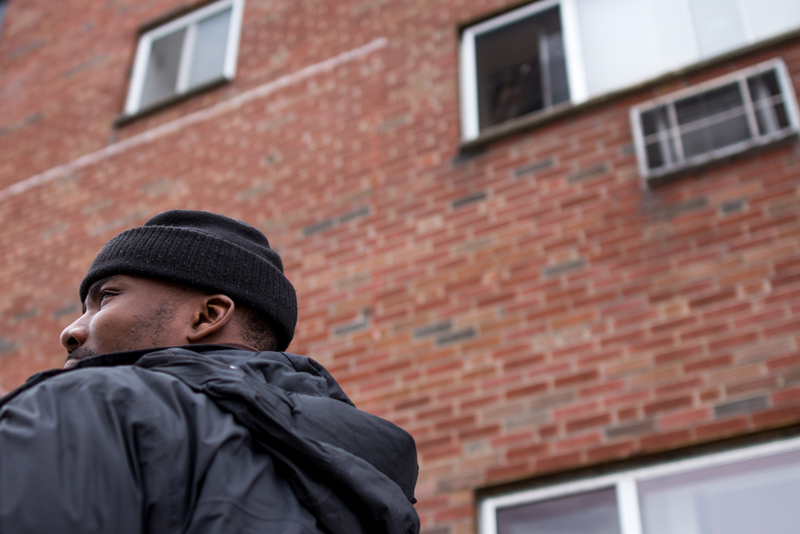 In cold months, he found shelter inside abandoned buildings. He said he tried to steer clear of homeless shelters if he could. 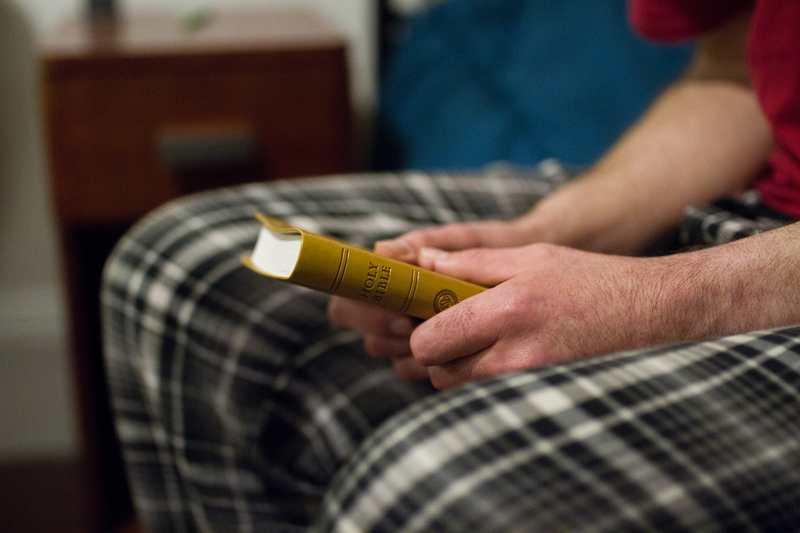 Brian holds his Bible, which he says helped him during his years struggling with homelessness: "It gives you hope when there is so much in disarray." Photo by Sarah Toy. Three years ago, Brian met Harmon during a short working stint in Boston. Although the job did not last, the relationship did; they kept in touch even when Brian returned to Virginia. 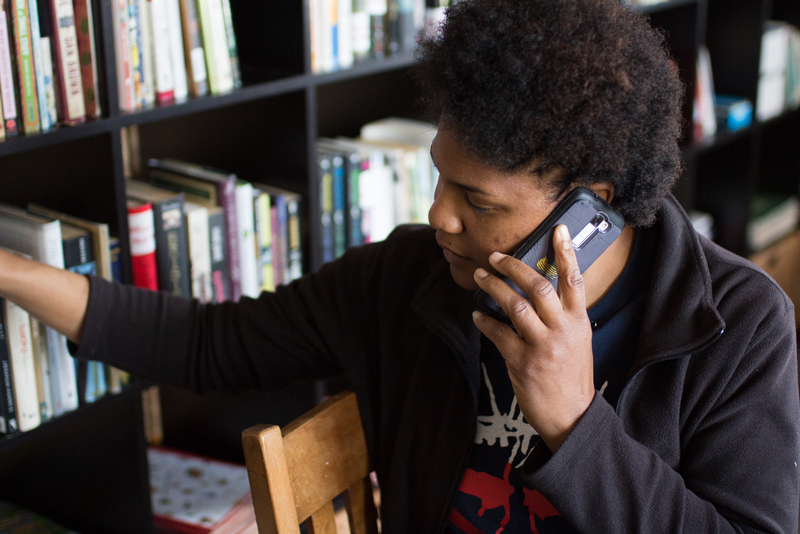 When Harmon became the resident-mentor of Nightingale House, he called Brian up. After some thought, he packed up his things and moved to Boston. When comparing his current situation to his former one, Brian said: “It’s like night and day. It’s totally different.” There is a sense of safety here he has not felt for years. 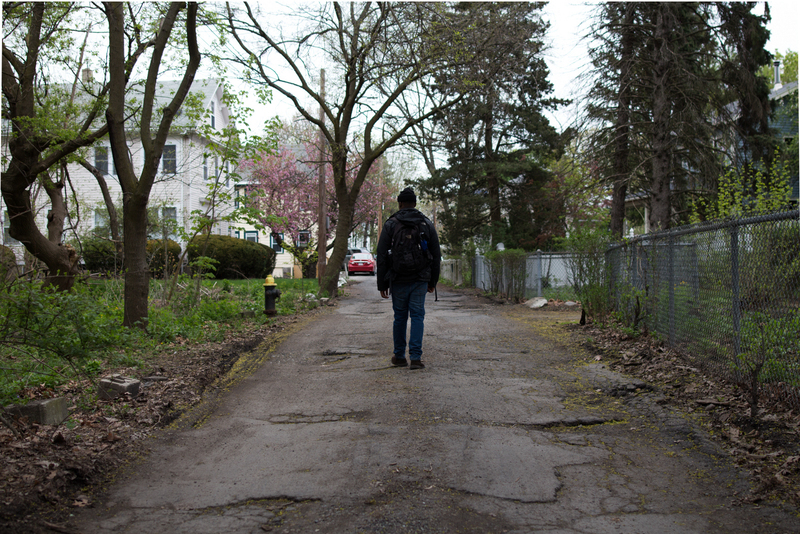 Brian thinks his years of homelessness have wreaked havoc on his mental health. He believes he has post-traumatic stress disorder and is considering seeing a counselor. For now, Traction is providing him with some much-needed respite. “This is a chance for me to rest and recuperate,” he said. 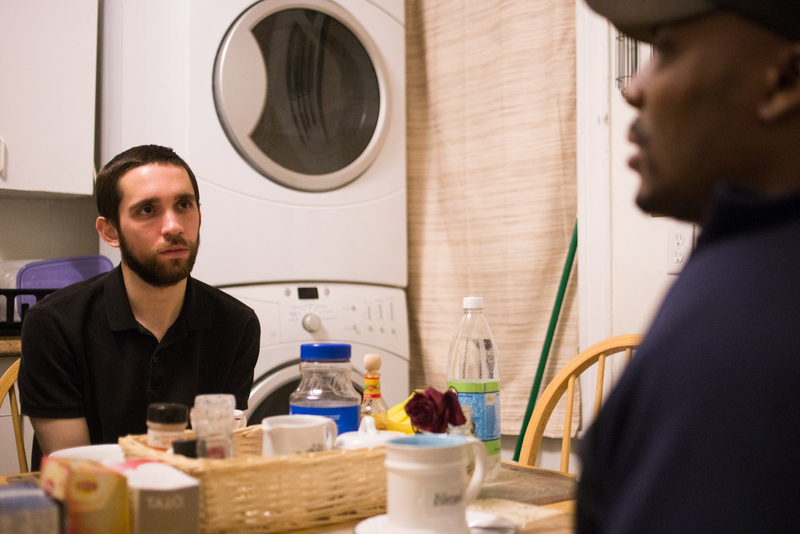 There are currently four Traction participants at Nightingale — all men who have struggled at one point or another with homelessness. They live on the first floor with Harmon, the resident mentor. Moore rents the other two floors out to tenants. That income allows her to be more generous with the first floor, where the men — other than Harmon, who has a day job and pays rent — stay free of charge until they get jobs. “It is not a ‘get rich’ scheme,” she said. As long as Nightingale can support itself, she’s satisfied. In 2012, Moore’s friend Laura Mitchell bought a multi-unit home down the street from Nightingale. She decided to partner with Moore, and “The Chateau,” as she christened it, became the second addition to the Traction network. 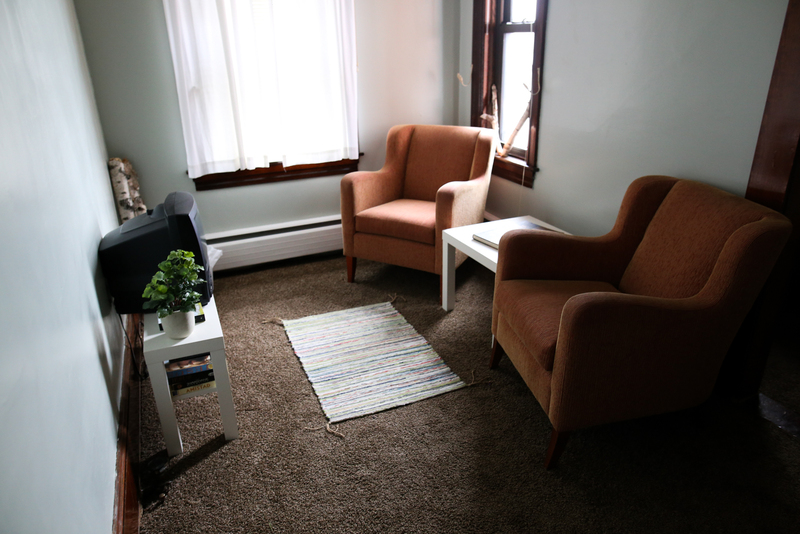 It specifically houses young women and mothers who are working to transition to independent living situations. Angela Driscoll, 38, found out about Traction through a friend who knew Moore. She had been living with her sister, a single mother with three young children, until they ran out of space. 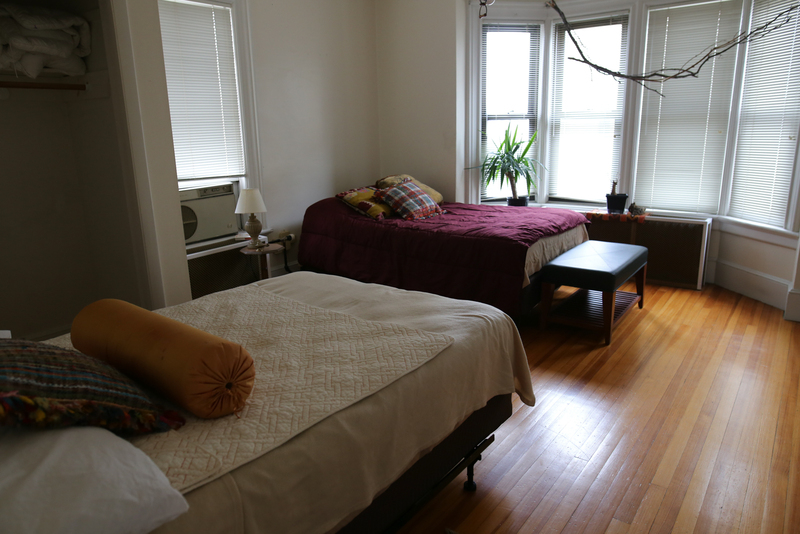 “It was either finding Traction or going into a homeless shelter,” she said. Driscoll was referred to Mitchell’s home and moved into a room on the top floor of The Chateau. She has been living there since early April. 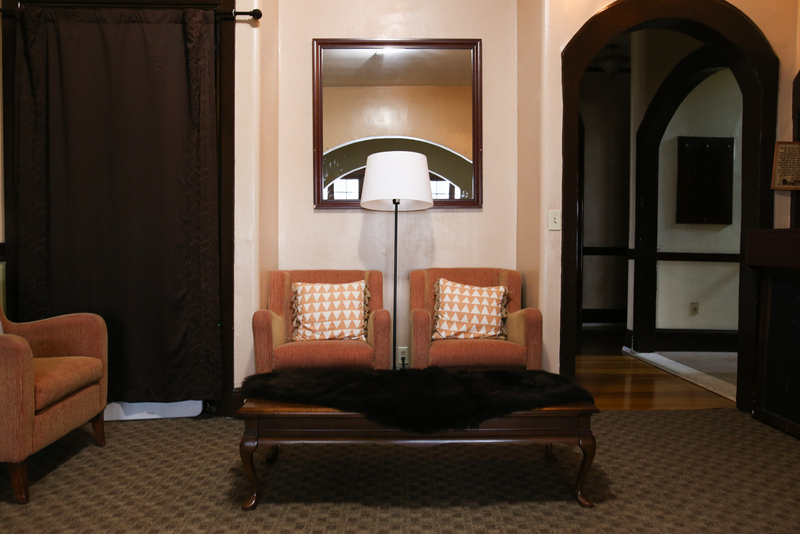 The living room of Mitchell's home. Photo by Sarah Toy. “I really like it,” she said. She was nervous at first, she said, moving into a house full of women she didn’t know. But she has begun to get acquainted with the others living in her apartment, and they check up on each other every day. Driscoll said the house maintains a system where residents making an income are required to put one-third toward housing costs and one-third toward savings. Houses often hold finance and budgeting workshops, as well. 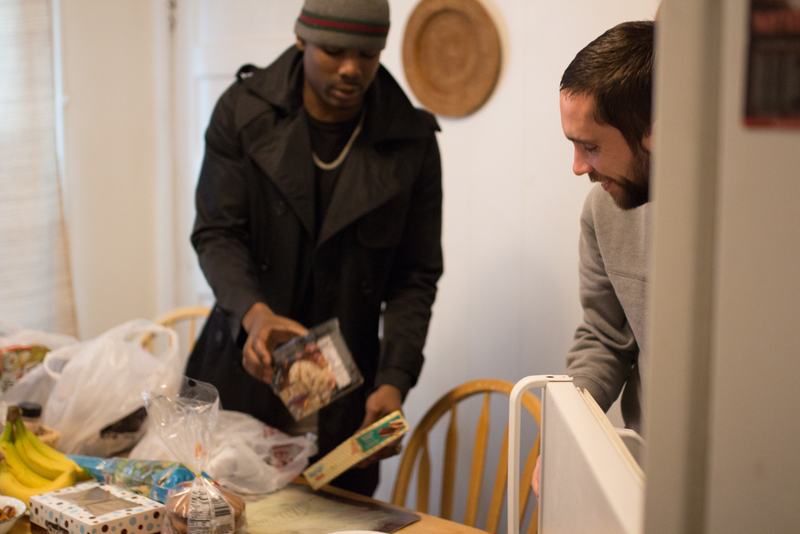 The goal is to help set up residents for future success by ensuring they have a nest egg before they leave the program. Driscoll, who works as a home health aide, said she is now trying to save up so she can be independent. “I am trying to get it so that I am financially set and able to get a place of my own,” she said. Moore believes there is a vital difference between Traction and a typical housing or employment program. “We are family,” she said. Family is permanent. And with family, she added, one thing is always clear: You are for each other and you support one another. Audrey “Drew” Felix, 28, said Traction reminds him a bit of the foster families he grew up with in Boston, which he said was a positive experience for him. 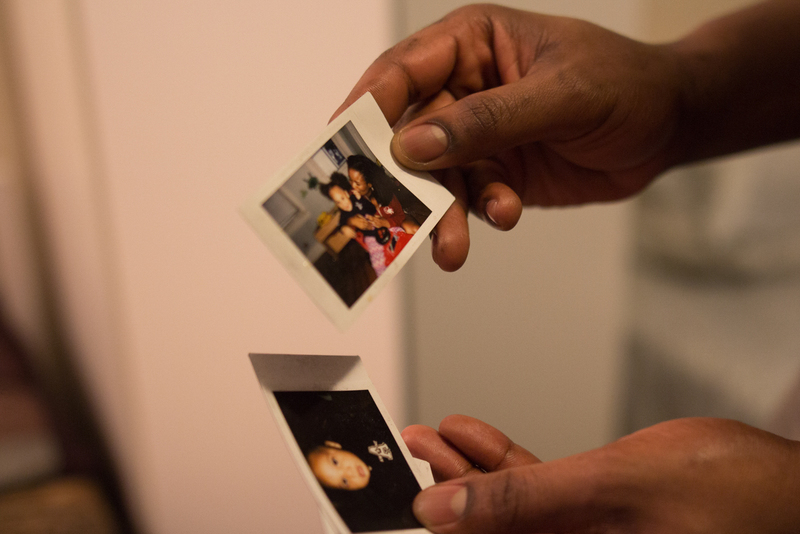 His father, a refugee from Haiti, passed away when he was 14 years old, and Felix found himself alone. 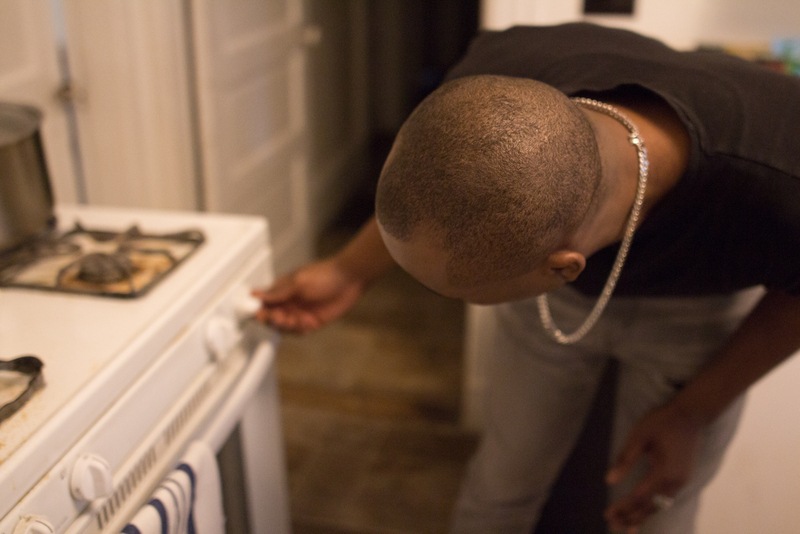 After several months on the streets of Dorchester and a brief stint in a juvenile detention center, the Department of Children and Families took custody of him and he was placed into foster care. 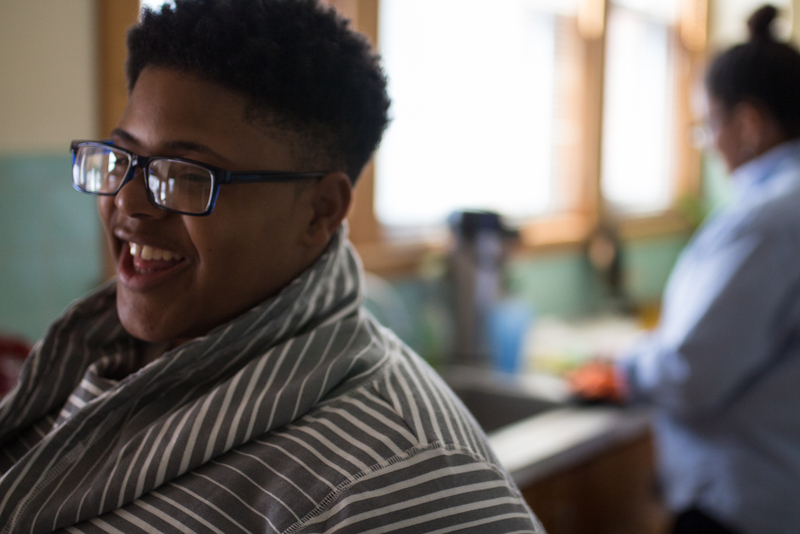 Felix is grateful for the effort his foster mothers put into to his upbringing, one of whom was the secretary of the lawyer who represented him in his juvenile court case. “She wanted more for me,” he said of her. He spent a few years in her home, during which he finished high school and went on to college. 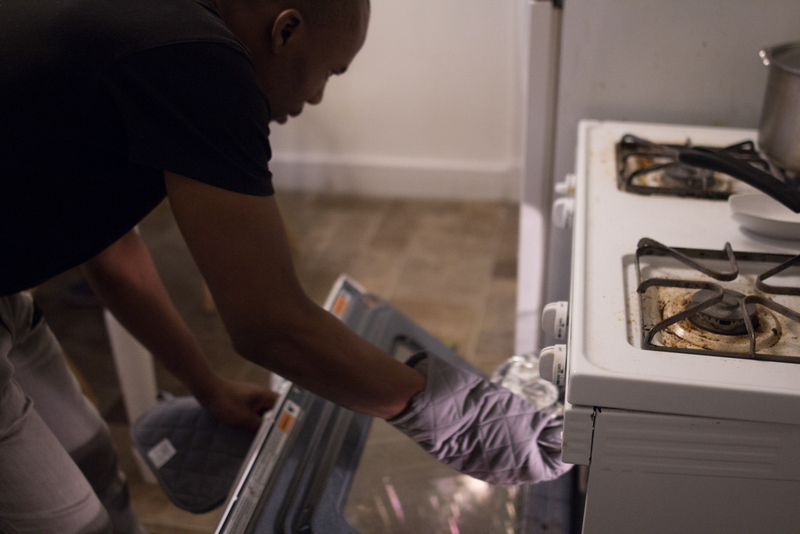 Unfortunately, a combination of factors over the last few years landed him in a situation where he found himself unemployed and unable to afford housing. When he found out about Traction through his current girlfriend, he contacted Harmon. He has been at Nightingale since March. 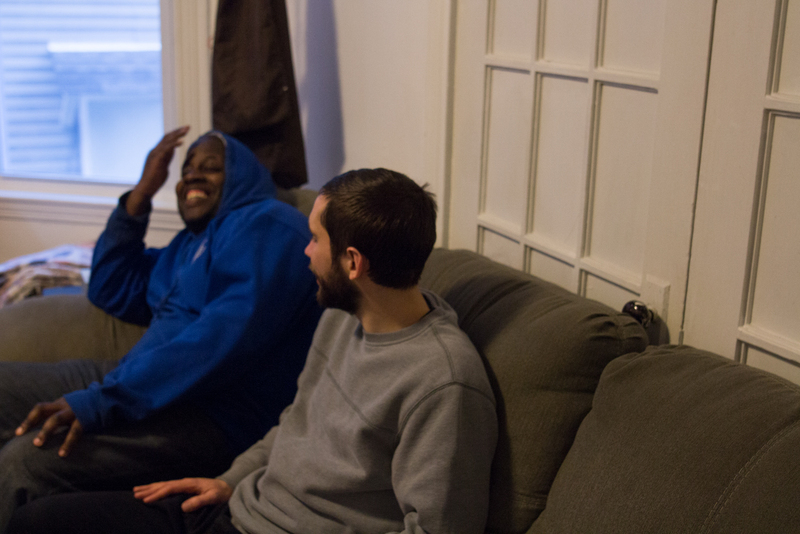 Brian B., who lives with Felix at Nightingale, notes that while there are Traction-like programs for younger folks, he hasn’t come across any like it for older adults like them. “For people my age, it’s not that common,” the 38-year-old said. Felix also knows a place like Traction is uncommon. He appreciates the encouragement and support he has received here as he works toward employment and independence, making phone calls and sending out job applications. “We all eat together. We all share together,” he said. Moore wants Traction participants to know that this support network won’t disappear. No matter what, through thick and thin, the Traction network can be a constant in their lives. Moore owns four homes now that are part of the Traction network. Running them has become her full-time responsibility. 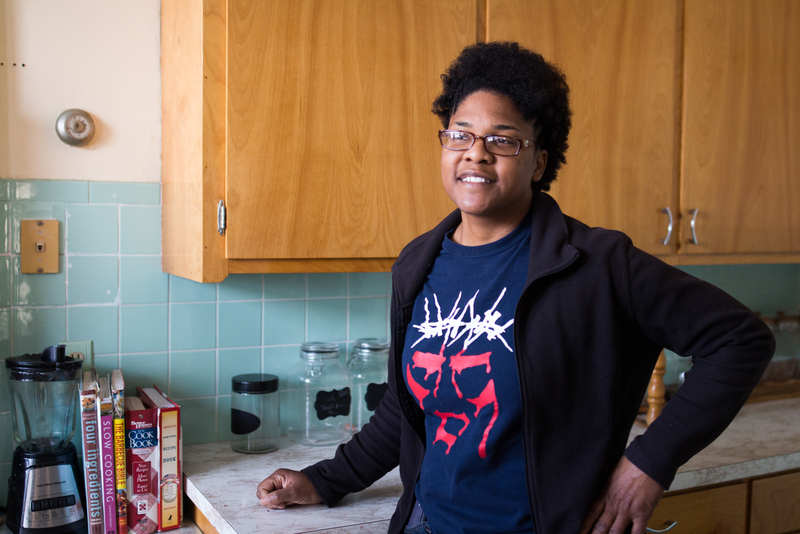 She no longer works at College Bound Dorchester; managing the homes, checking up on her tenants and making sure they’re doing well takes up all of her time. 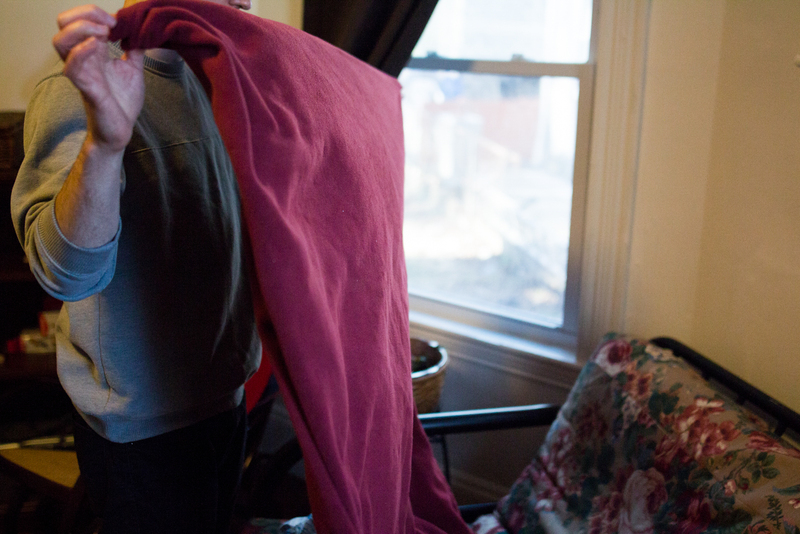 Most of her week is spent at her most recent purchase, a large three-story brick house in Central Falls, Rhode Island, where she lives with two Traction participants, Keira Gamboa and Doreen Gingras. If it seems extraordinary that there are people in the world who would take on the financial burden of buying homes and refurbishing them in order to house and live with people who are struggling, Moore offers her faith as the reason for what she does. Home is where she has been able to find those things. She wants to be able to offer them to others. Moore emphasizes that although Traction is faith-based and the program’s mentors encourage participants to spend time exploring Christianity, they do not have to subscribe to a certain religion. 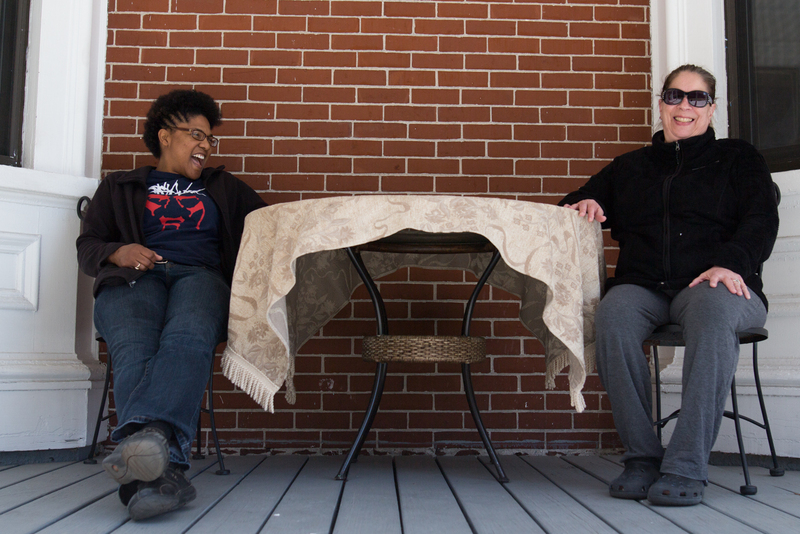 “I’ve had people who believe all sorts of different things come to live [here],” she said. At the same time, she believes the Christian message is the most impactful thing she can offer people over everything else. “[My faith has] really transformed my life and I’ve seen it transform other lives,” she said. However, people who come to live with her can believe whatever they want, said Moore. After two months of living at Traction, Felix has now found a job selling phones. He is hopeful for the future. 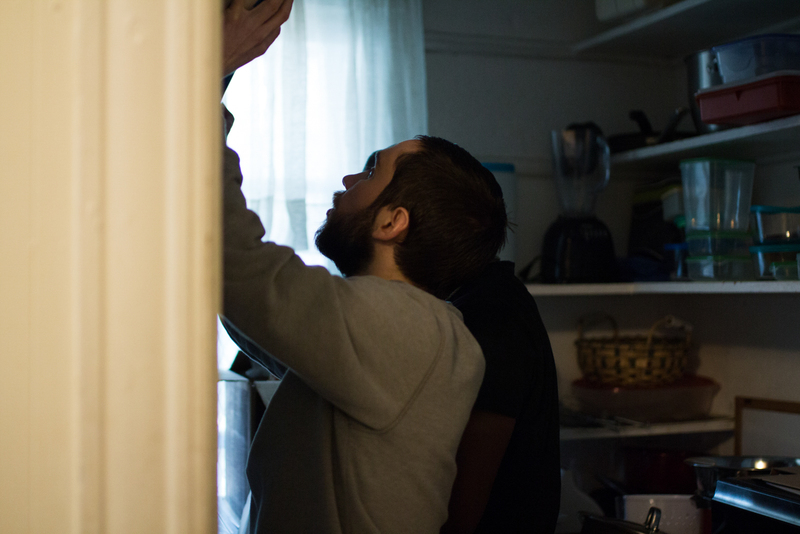 He wants to get his Masters degree and hopes to one day arrive at a place where he has the financial stability to provide for both himself and his family, including his 3-year-old daughter Lydia, who currently lives in Maine with his ex-girlfriend. “I know how difficult it was for me growing up and I don’t want the same for my daughter,” he said. Not everyone will like living in a Traction house, Moore notes. If unemployed, house members are required to spend 40 hours each week taking active steps toward long-term goals they set with their mentors. There is a curfew every night. There are assigned chores. These things can grate on some people. 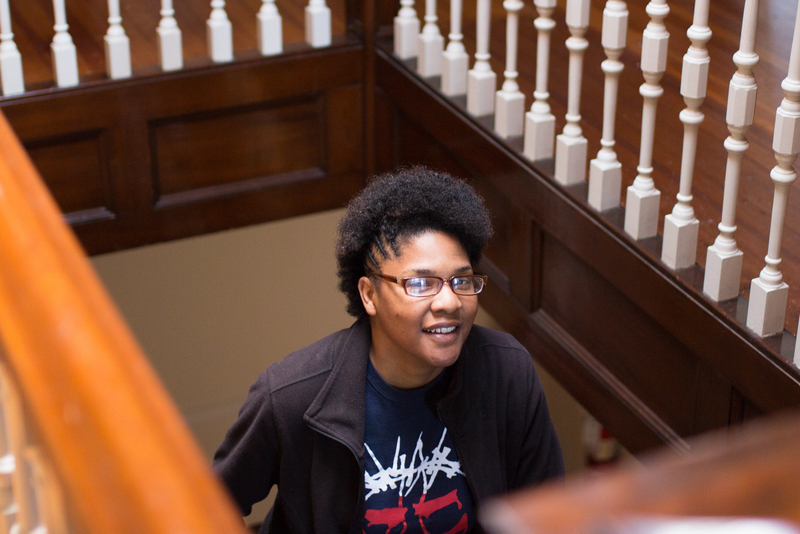 Moore holds reunions and birthday parties at her Central Falls home on a regular basis and keeps in touch with many of her former Traction participants. Many keep in touch with their mentors and with each other. The encouragement and support that Traction offers is always available, even after residents move on. After all, that’s how a family works.